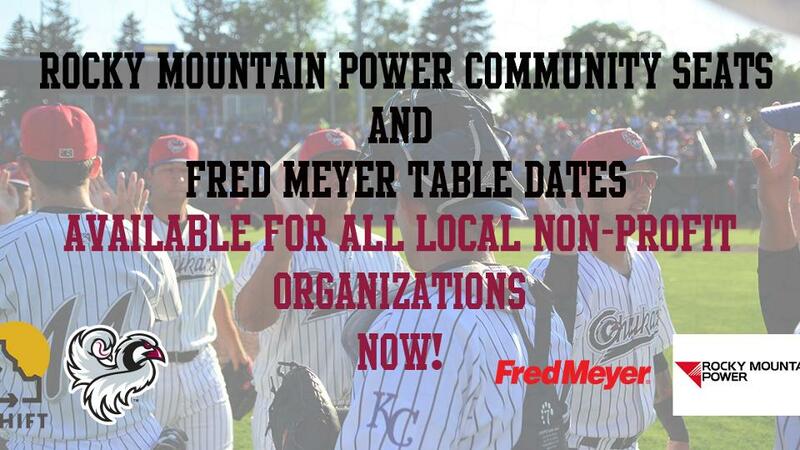 The Fred Meyer Community Spotlight Program and the Rocky Mountain Power Community Seats, which have helped local non - profits raise awareness for their organizations, has been renewed for the 2018 season. Continuing as the principal sponsor for the Community Spotlight Program will be Fred Meyer. Also returning as the principal sponsor for the Community Seats will be Rocky Mountain Power. Graphics, slideshow, or Videos to be projected on our video board. Setting up a booth in the concourse to pass out flyers, pamphlets, prizes, or other types of information on your organization. The Rocky Mountain Community Seats Program provides non - profit organizations the opportunity to bring their organization/volunteers to a Chukars home game and sit in seats provided by Rocky Mountain Power. Organizations will be provided (20) twenty general admission tickets for the selected game of their choice. All area non-profits have the opportunity to take advantage of both programs at absolutely no cost to the organization. Dates are reserved on a first come first serve basis. "The Chukars have been using the Community Spotlight Program and The Community Seat Program since 1996. We are dedicated to giving back to the community and are committed to helping charitable organizations throughout the Southeast Idaho Area" says Chukars Vice-President Paul Henderson. 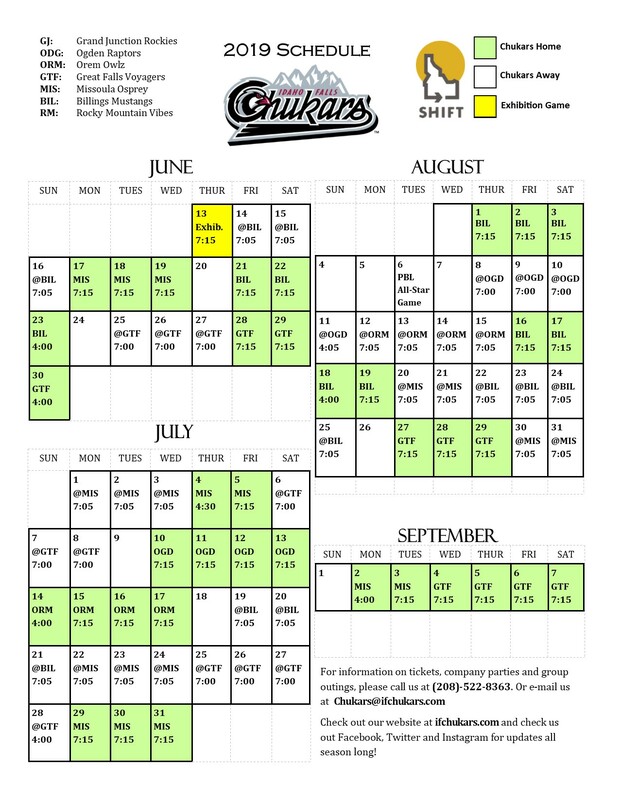 The Chukars start their 2018 journey June 15th against the Ogden Raptors. 2018 season tickets and ticket packages currently available. Call the Chukars office at 208 - 522 - 8363 or go to www.ifchukars.com for more information.